Located just off Route 119 near Laurel Mall, Big Mike’s Smokin’ BBQ offers genuine southern-style barbeque dishes that will both delight your mouth and fill you up. Big Mike’s Smokin’ BBQ offers a wide variety of dishes which are smoked daily and served hot! Choose from our delicious baby back ribs, smoked chicken (half or whole), smoked chicken wings, beef brisket or pulled meat sandwiches, and unforgettable sides like our corn muffins, cole slaw, and BBQ beans. Looking for great food to serve at your next graduation party, wedding reception or business lunch? We have you covered! 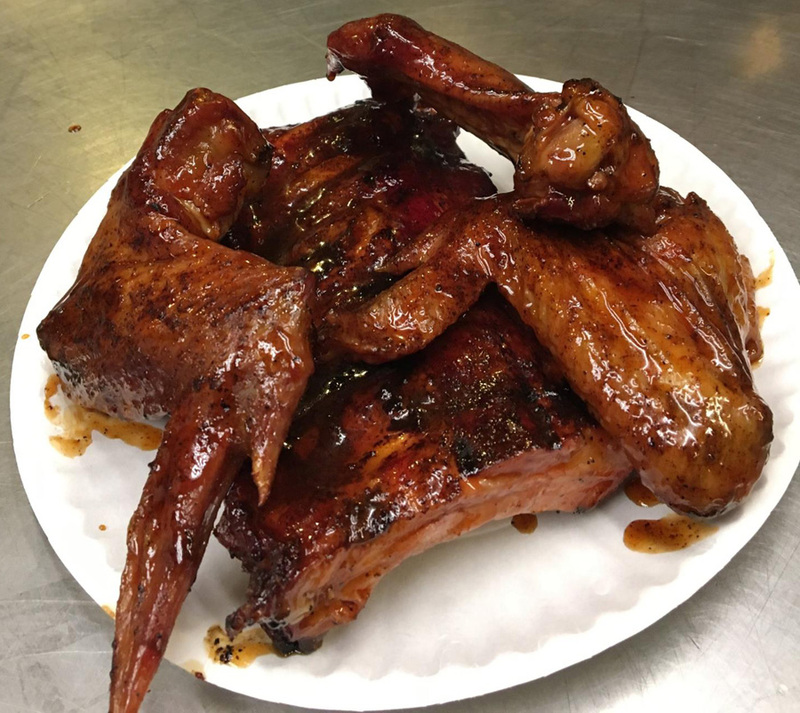 See our menu for the latest party packages, including special pricing for ribs, smoked chicken, smoked turkey, beef brisket, chicken wings, potato salad, cole slaw, and more!